What i learnt is profit booking is also important. Otherwise what i was doing in Backtesting bar by bar…… I was juat trailing my stops to previous highs/lows and wanted to market work my way. Market is its own king, totally unaware of me who I am, move in its own way. Learning is ok but until we manually backtest what we have learnt will be futile as we will get new idea and we observe it in our own way. Making own edge by learning by mentors and not just spoon feeding as it wouldn’t be liked by them as well. Yes, whether backtesting or forward testing, I agree that the real learning doesn’t come from the mentor, but from the time and experience in observing the market ourselves and coming up with our own understanding of how to see, identify and exploit edge. Just a query regarding trade management. 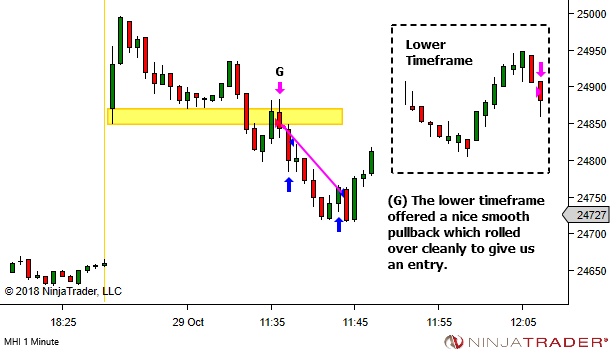 In which time frame do you manage your trade? Is it LTF or TTF. Its ripping away my confidence every day just because of bad trade management. 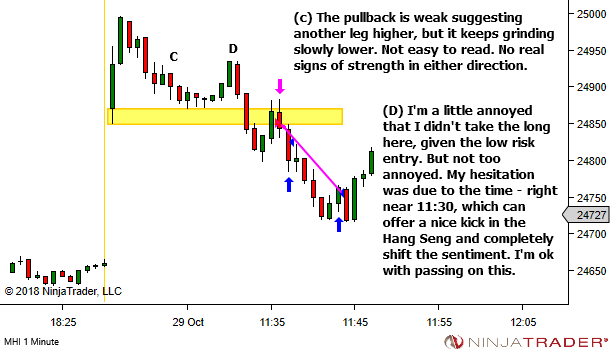 Always seeing nice move in my direction and then one bar taking away my SL and then moving again. I tried LTF and TTF both. I also tried fixed target booking. In those cases, market 3 to 4 times more than my fixed target areas. Please comment as it is taking a toll on emotional capital as well. I use both the LTF and TTF, so I don’t think this is going to help you. 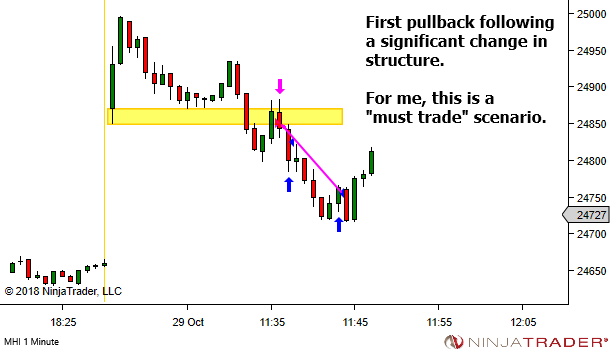 And I use a combination of targets and trailing stops, depending upon the conditions in the market. But then “how I trade” is not really the issue. I’m sure you’re really asking what you need to do to see some improvement in your own trading. This is difficult to answer as I have no real insight into your trading. It could well be that what you perceive to be a trade management is actually a result of low quality trade ideas, poor trading conditions, or late retail entries. Consider this! But let’s assume it’s trade management. I assume you’re referring to a trailing stop here. Firstly I don’t imagine it’s “always” happening. But if it’s happening a lot then the obvious solution is that you either need to widen stops and/or develop the ability to get back in should a stop-out prove premature. What you need to quantify though, is whether or not the profits gained through holding these larger moves is sufficient to outweigh the greater losses now through wider stops. Some investigation will be required. Again I doubt this is happening every time. But if it’s happening more often than not then you might want to extend your targets. 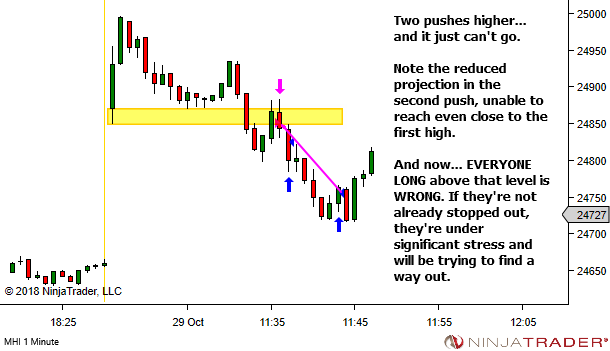 Or use them as a soft-target only and switch to a trailing stop on reaching the level. Or why not diversify across multiple exit styles. 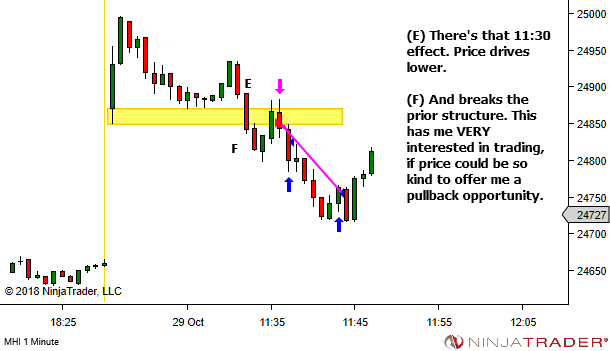 Part of the position for a close target, part for a more distant target, and part for a trailing exit. My gut feel though is that you’re frustrations in trade management are due to some expectation that you can perfect the trade management style. This will NEVER happen. Trade management will always be a source of frustration. Accept it and get used to it. 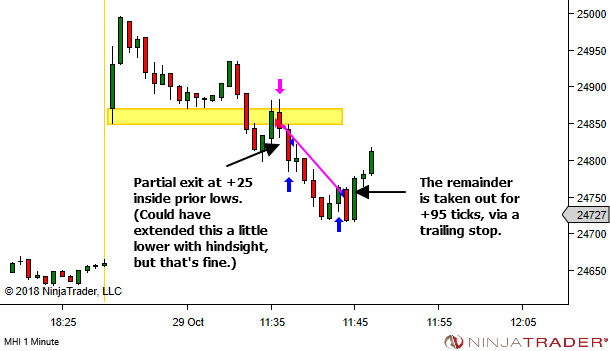 You will rarely get the perfect exit, in any individual trade. When you look at it with hindsight you’ll either have given back too much, or failed to take enough of the move. By all means keep building skill. And keep trying to improve. But if you’ve got edge then who cares if it wasn’t perfect. Personally, I massively underperform what is available. I keep trying to learn from it and improve. But it doesn’t worry me any more. Again, I’ve very little to go on here. And I’ve probably completely misinterpreted your question anyway! Thanks Lance for the reply. Just to let you know, I am not so good while trading in ranging environment. 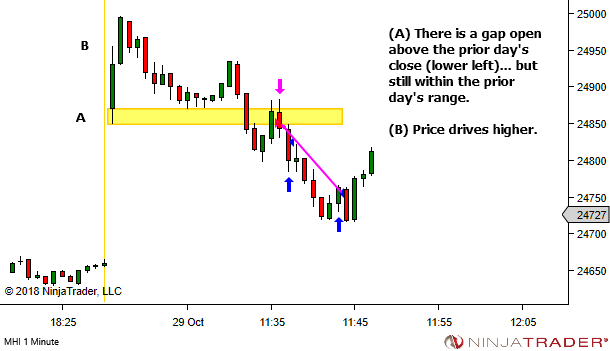 I almost completely avoid trading or look somewhere else for trading at the first sign of range developing. And some of your articles have immensely helped me with that like overlapping bars/ 4 swing points contained within a impulsive move. My frustration is with the trade that have the already moved in my favorable direction. It has an R:R of more than 1:2 already. But I dont see any nearby SR for which I should book profit. Sometimes it may be overextended. I usually do all in all out since I find it difficult to manage part-by-part. Now the problems comes here – with both LTF and TTF swing point beyond which I keep my SL/TSL. Around 25% of the time, I am happy that the SL/TSL has reversed or temporarily stalled the market. In those scenarios, I actually re-enter again if premise is valid with more than 1 R:R.
But 75% of the time – it just pokes my SL/TSL and goes again in my direction. I am concerned I am moving my SL prematurely as when using LTF for TM or giving away too much of profit while using TTF for TM!! I know its difficult for you to come to conclusion without having complete background regarding my trading style.I guess it could be a combination of everything that you said above. 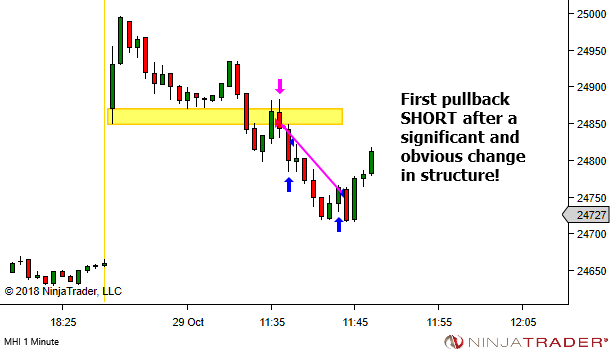 It might help to think of this as not being one trade of two parts, but two separate all-in-all-out trades. They just happen to have the same entry time and price. Then one can be managed for a closer or earlier exit. And the other for a later exit. Of course, this still may not suit you and that’s fine. There are many successful traders using an all-in-all-out approach. The key though is that you have to get comfortable with underperformance, as it will happen in MANY trades. Always seek to improve, but understand that you will never perfect this. Regarding your stats, you say that 75% of the time when the market takes out your trailing stop that it is premature and the trade then continues without you. If that’s a valid statistic, then it’s a clear indication that the stop is too close. Or am I missing something here? I think you should buy his course… you won’t regret it.